Chinese Herbal Medicine in the News! Acupuncture involves the insertion of whisker-thin, pre-sterilized, single-use needles into points on the meridians of the body selected based on the patient’s differential diagnosis. The intent is to harmonize and balance the energy flow throughout the system and allow the body’s natural healing ability to be engaged to the fullest possible extent. Acupuncture does not need to be painful to work; in fact, many people experience an almost immediate relaxation response when the needles are inserted. Other modalities that may be used in conjunction with acupuncture are cupping, gua sha, moxibustion, blood letting, electro-acupuncture, and tui na. Acupuncture is extremely safe — the major side effect is relaxation. Because the needles are sterile and single-use, there is very little danger of infection even for immune compromised patients. Chinese herbal medicine allows the practitioner to provide a customized prescription for the patient that may address several concerns at one time. Unlike many western medications, which work by suppressing symptoms, Chinese herbal medicines work to restore normal physiological function by addressing the underlying cause of disease. Traditional Chinese herbal scripts are a synergistic combination of multiple herbs, they are internally balanced to reduce any kind of unwanted side effects. When used under the supervision of a trained herbalist, Chinese herbal medicine is a safe and effective option for many patients. The written record of the Chinese herbal pharmacopoeia and formulary goes back over two thousand years; penicillin dates to the 1930’s! The Chinese herbs we use are provided in a concentrated powder form and are processed according to rigorous GMP standards. The herbs are controlled in China as medicinal substances and are subject to regulation and testing by the FDA in this country. To prescribe Chinese herbal medicine in the state of Massachusetts you must be a licensed acupuncturist with NCCAOM certification in OM or Chinese Herbology, and have a letter of authorization from the state to practice Chinese herbal medicine. To retain prescribing rights you must complete additional herbal training during each two year license renewal cycle. Marie Dahlen Keane LMT is a 2004 graduate of the Muscular Therapy Institute in Cambridge, Massachusetts. She holds a certification in Myofascial Therapy from the Core Institute and she is certified in pre- and perinatal massage. Marie has also studied oncology massage with Tracy Walton. She is nationally certified and licensed in the state of Massachusetts. She combines treatment sessions with client self-care education designed to reduce or eliminate muscle tension and to promote health and wellbeing. Depending on the client’s needs Marie uses different modalities in her treatment sessions: relaxation massage, deep tissue work, myofascial therapy and sports massage. She also offers hot stone massage and on-site corporate chair massage. Through therapeutic massage, Marie is committed to making a healthy difference in the lives of the people she touches. Rebekah Michaels received her Masters of Acupuncture and Oriental Medicine (MAOM) from New England School of Acupuncture with a dual concentration in Chinese/Japanese acupuncture and Chinese herbal medicine. Since graduation Rebekah has pursued extensive post-graduate herbal training in herb/drug interactions and topical application of herbs. Through a continuing clinical internship with Dr. Tao Xie (Md, China), she has studied contemporary herbal strategies based on the work of Yan De Xin. Rebekah is board certified in Oriental Medicine and Auriculotherapy, she is licensed by the state of Massachusetts to practice acupuncture, and authorized to prescribe herbal medicine. Rebekah specializes in the treatment of anxiety, depression, and the physiological effects of stress on the body. 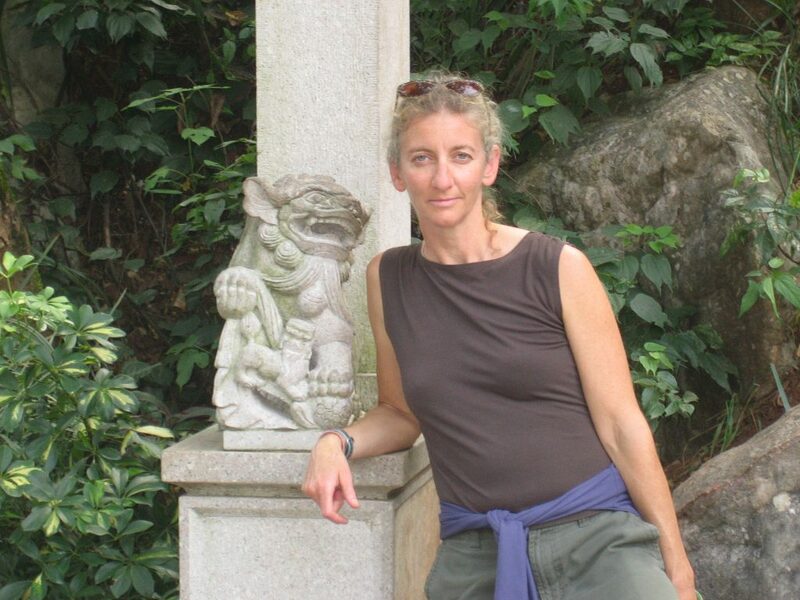 Rebekah started her journey into oriental medicine in 1994, when she began studying Tai Chi and Ba Gua intensively, in an effort to rehabilitate an injured shoulder. Eight years later, it was back to school to understand the framework and diagnostic structure of this fascinating, multifaceted medicine. While at school, Rebekah was fortunate to be able to assist, and then to intern, at Pathways to Complementary Medicine, a public health clinic whose mission is to bring acupuncture and Chinese herbal medicine to the HIV+ community. This gave her a true look at the power of these modalities to make a positive difference in the quality of life of people living with chronic disease. Prior to studying oriental medicine, Rebekah worked for 14 years in the film industry in Boston. One of her favorite projects was a documentary about the first Title 9 challenge called “A Hero for Daisy.” You may have also seen her credits on Ken Burns projects or Unsolved Mysteries. When not practicing acupuncture and herbal medicine, Rebekah is employed part-time by her animal family as a thrower of retrievable objects. Marie Dahlen Keane, LMT is a 2004 graduate of the Muscular Therapy Institute of Cambridge, Massachusetts. She specializes in therapeutic massage for clients with chronic pain, anxiety, and stress, as well as people recovering from injury and pregnancy massage. Marie integrates relaxation massage, deep tissue, myofascial therapy, sports massage, and hot stone massage depending on her client’s needs. Marie is nationally certified and a CAM PPO provider. Marie is committed to making a healthy difference in the lives of the people she touches. By appointment only, please call for availability. Directions: From 495 take 28 south toward Andover. 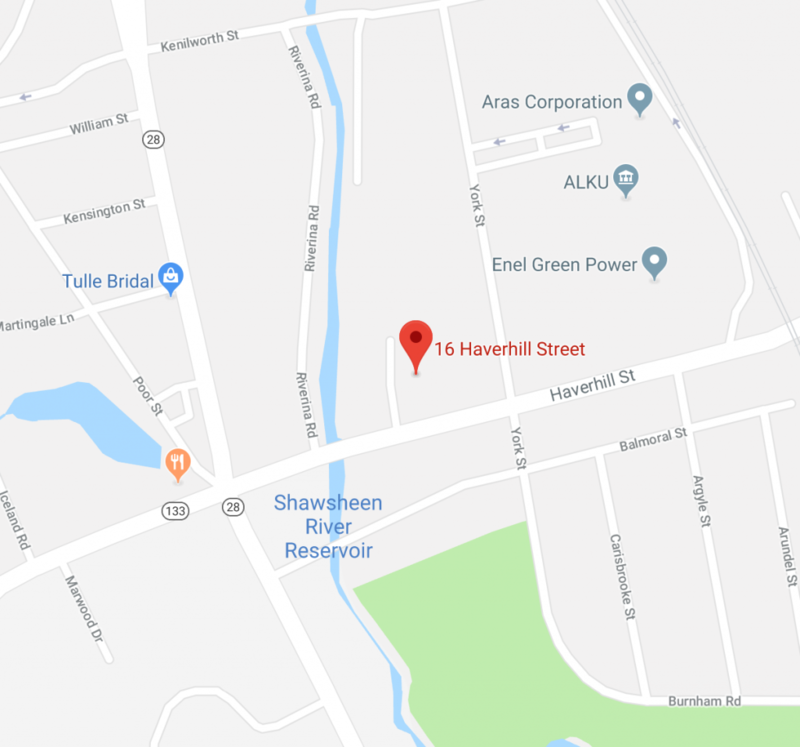 The first big intersection you come to is Haverhill St./133, go left at the intersection. Immediately after making the turn you will see a Bank of New England on your left, take the driveway just past the bank and drive around to the main entrance at the back of the building. The elevator is on the right. Take the elevator or the stairs to the 3rd floor. Follow the hall around to the right. We are just opposite the ladies bathroom. From 93 take exit 43 (133/Haverhill St.) toward Andover/N. Andover. After about 2.5 miles you will come to the intersection with 28. Continue straight on 133, immediately after you cross 28 you will see a Bank of New England on your left. Pull into the drive after the bank and go around to the main entrance at the back of the building. Elevator is on the right in the lobby. Go to the third floor and follow the hall around to the right. We are on the left side across from the ladies room. Directions: Office is on Mt Auburn St. approximately halfway between Harvard and Watertown Sqaures. The cross street is Dexter. I am located above Green Peapod Restaurant. If you are coming from Watertown Square be on the lookout for Fordee’s Sub Shop, that is my block. If you are coming from the Harvard Square direction I am two blocks past the Town Diner and just about opposite the firehouse. There is meter parking on Mt Auburn in front of the office and free parking on the side streets. As we enter the second part of the annual cold and flu season, prevention is very much on everyone’s mind. Unless you have your sealed environment up and running, you will be exposed to the viruses that cause colds and flu. Here are some self care tips for keeping the nasty critters from making themselves comfortable in your upper respiratory system and doing what they do best – proliferate. In addition to Lady Macbeth-style hand washing or sanitizing, you will want to start regular nasal irrigation. There are several ways of going about this, but my favorite is to use a Neti pot. What is a Neti pot you ask? A Neti pot is a small ceramic or plastic vessel that looks a lot like Aladdin’s lamp (sadly without genie). You fill it with a solution of warm saline (1/4 teaspoon kosher/sea salt and 1/4 teaspoon baking soda) and introduce it into one nostril while leaning over the sink. After you get over the water-up-the-nose sensation and figure out the optimum head angle, the solution runs through your nasal passages, washing out accumulated stuff and making it hard for viruses and other interlopers to set up base camp. This is very low tech, safe, inexpensive (less then $20 at CVS or WholeFoods), and effective. According to Dr. Melissa Pynnonenat the University of Michigan Sinus Center, “nasal irrigation can be considered a first-line treatment for common nasal and sinus symptoms. It is often more effective then medication.” Since rhinoviruses, seasonal flu, and H1N1 flu all enter through the upper respiratory tract, doing as much as you can for nasal and sinus hygiene makes sense in a campaign to reduce proliferation of these viruses. Making nasal irrigation part of your daily routine, morning and evening, like brushing your teeth, will almost certainly reduce your chances of getting sick, and if you do succumb, should help to manage some of the symptoms. You must boil the water you use in your Neti pot to eliminate any chance of pesky and possibly fatal bacteria in the water supply getting into your brain via the sinuses. Following the same theme as nasal irrigation, another good technique for reducing viral colonization is to gargle with salt water. Based on information about the presentation of H1N1 flu in China (slightly ahead of us as far as flu season goes) more than 80% of H1N1 is presenting initially with sore throat and head symptoms. Gargling with a saline solution is like nasal irrigation in that it helps to create a less hospitable environment for viruses at a point of entry, it also feels good when your throat feels raw. In Traditional Chinese Medicine (TCM) colds and flu are in the category of illnesses recognized as being caused by exogenous factors, traditionally described as wind heat or wind cold. This year, based on what we are seeing, the prevailing flavor is wind heat. What this means is that most of what we see or catch this year is likely to present with some or all of the following symptoms: sneezing, itchy or sore throat, cough, runny nose with slightly yellowish mucus, occipital headache, stiffness and body aches, thirst, increased sweating, chills and fever with fever predominate. At the prodromal stage (the first inkling that you are getting sick), in addition to increased vigilance with the Neti pot and the gargling, you may want to jump in with some Chinese herbal medicine. Two patent medicines that you can have on hand in your medicine cabinet are Yu Ping Feng San (Jade Windscreen) and Yin Qiao San (Honeysuckle and Forsythia Formula). Jade Windscreen is traditionally used for people who get sick easily or who have chronic allergies. From the TCM point of view it helps to support and consolidate the Wei qi (protective energy) that prevents external pathogens from entering the system. From the Western perspective, it contains adaptogenic herbs that help the body maintain optimum balance in times of stress. Jade Windscreen is a gentle and safe formula that can be added to your daily vitamins to help support your immune system and your energy. Honeysuckle and Forsythia Formula is a more specific response to the type of wind heat condition that we are seeing with this year’s colds and flu. It contains herbs that have an affinity for the throat and some antiviral properties; it clears heat, detoxifies, and moistens. To be effective, Honeysuckle and Forsythia Formula must be taken at the earliest hint of cold/flu and should be taken as long as these feelings persist, hopefully keeping you from a full-blown cold/flu. If your condition does worsen you will want to address it with something stronger and should consult with your herbalist or Md as appropriate. Both Jade Windscreen and Honeysuckle and Forsythia Formula are available as supplements on Amazon.com. As an herbalist I generally prefer to work with individualized herbal prescriptions, however, I do feel that these to patents are useful to have on hand so that you can respond immediately if the need arises. As always the name of the game with colds and flu is prevention. You can’t avoid exposure, so you want to have some good tools on hand to reduce proliferation and help keep you healthy. The foundation stones of your immune response are your inherited constitution and your lifestyle. Since the former isn’t something you can change at this point, the best thing that you can do for yourself and your immune system is to lead the proverbial healthy/balanced life. Although I realize that this is easier said than done, it really is a false economy to neglect your day to day self care. Like waiting till your old bald tires get you into an accident that totals your car and may injure you or someone else when a new set of tires in a timely fashion might have prevented the whole fiasco, leaving self care for tomorrow almost always costs you more in pain, regrets, and time, than eating better, exercising regularly and getting enough sleep on a daily basis. Besides, life is a lot more enjoyable if you make time to savor the details! Dr. Tao Xie – Chinese Herbal Strategies for Prevention of H1N1 Lecture. 5/8/09, update 10/30/09. Welcome to spring allergy season! Seasonal allergies are often called “hay fever” although in the northeast the main spring allergens are usually tree pollens; summer allergens are grasses and in the fall we have ragweed. Mold is also a trigger for many people, with all the rain and flooding we’ve had recently there will be no shortage of mold spores floating about this year. Seasonal allergies generally effect the sinuses and the eyes, seasonal rhinitis and seasonal conjunctivitis respectively. The symptoms may include itchy runny nose with clear watery discharge, sinus congestion and pressure, post nasal drip with scratchy throat, sneezing, throat clearing cough, itchy upper pallet and ears, and watery, itchy, red eyes. When symptoms are bad there may also be a frontal or temporal headache and fatigue. By now you may have a good management strategy for your seasonal allergies but if you are still having symptoms or are concerned about potential side effects or rebound effects from medications read on. Sinus lavage is the number one do it yourself intervention I recommend for people with seasonal allergies effecting the sinuses. It is safe, inexpensive, and very effective. You can read about my favorite lavage tool, the Neti pot, in my article on cold and flu prevention. The pollens that cause seasonal allergies are air born and they enter the respiratory system mostly through the nose. Sinus lavage offers three main benefits: washes out irritating pollen particles, reduces accumulation of mucus, and helps shrink inflamed sinus tissue. The idea is to get ahead of the misery both by reducing exposure – washing out the particles, and by minimizing the effects of over production of mucus leading to clogged uncomfortable sinuses. You may need to use your Neti pot or other lavage technique several times a day in your peak season. You must boil the water you use in your Neti pot to kill any pesky (and potentially fatal) bacteria that could be in the water supply and might be able to get into your brain via the sinuses. Acupuncture works very well to reduce sinus pressure and inflammation and will give you a good starting point to put these self care tips to work. Many people experience immediate relief from pressure and improved sinus and ear drainage during a treatment. Regular treatments before the onset of symptoms can help to balance the immune system and seem to reduce the inflammatory response associated with allergies for some people. In Chinese medicine treating seasonal allergies is about more then just mitigating the symptoms, we also address the underlying constitutional weakness that make a person vulnerable and to strengthen the body’s protective energy, the “wei qi”. Seasonal allergies are from the category of diseases that penetrate the body’s defenses courtesy of the climatic factor of wind. Chinese herbal medicine offers a wealth of treatment possibilities for seasonal allergies. We have some very effective patent medicines that may be just the thing for someone with mild or occasional symptoms, or we can create a customized formula for someone with more severe symptoms or other concurrent health concerns. My favorite patent medicine to have on hand for sinus allergy symptoms is “Bian Pian” (available from Amazon.com). A customized prescription allows the herbalist to continuously evolve the formula as the patient’s condition changes. Treatment prior to onset of symptoms is very helpful for people with severe seasonal allergies. For people who are sensitive to medications or have found that their tried and true strategies are no longer effective Chinese herbal medicine offers a safe and effective alternative.